Located in the highly sought-after neighborhood of Norton Commons, this gorgeous Craftsman-style property was custom-built in 2011 by Stonecroft Homebuilders. Designed professionally with entertaining in mind, this property offers all of the refined elements that you expect in a home. Stand out features include, exposed wood beams, coffered ceilings, an elevated stone hearth that frames a cozy oversized gas fireplace, custom built in shelving, hand crafted molding throughout, a floating staircase, and handsome exposed brick which gives this home it's exclusive, custom touch. The main level offers open living spaces, including a formal dining room that could easily be used as a private home office. The large family room with 12'' coffered ceilings creates a seamless transition to the eat-in kitchen and exterior covered patio. To complete the main level, there is a conveniently located laundry room, separate mudroom or "drop zone" and a private first floor master suite with a sizable walk in closet and ensuite master bathroom. The second level features four exceptionally sized bedrooms and two full bathrooms. The finished basement includes the home's sixth bedroom, a full bathroom and features a multi-level entertaining space with a media area, family room, and wet bar showcasing exposed brick, and your own built-in tap! Situated on a generous corner lot, this location gives your family the opportunity to have a large driveway and traditional yard space, which is very unique to the neighborhood. Just a block away from the Bergamot pool, and several fantastic neighborhood amenities, this home truly has it all. The attention to detail on this exquisite property gives this home it's polished edge. Call for your private showing today. This home will not last! Directions:From Brownsboro Road, take a left onto Chamberlain Lane. At the traffic circle, continue straight to stay on Chamberlain Lane. Turn right onto Blazing Star Lane, turn right onto Coltsfoot Trace. SchoolsClick map icons below to view information for schools near 9013 Coltsfoot Trace Prospect, KY 40059. Real estate listing at 9013 Coltsfoot Trace Prospect, KY 40059. 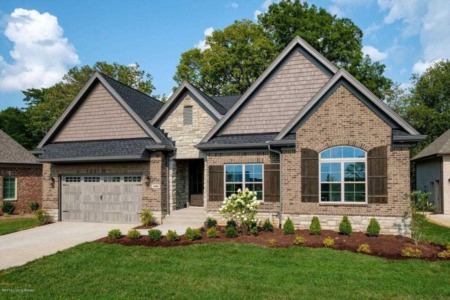 Description: The real estate listing at 9013 Coltsfoot Trace Prospect, KY 40059 with the MLS# 1523729 is currently listed for $875,000 and has been on the Prospect market for 83 days. 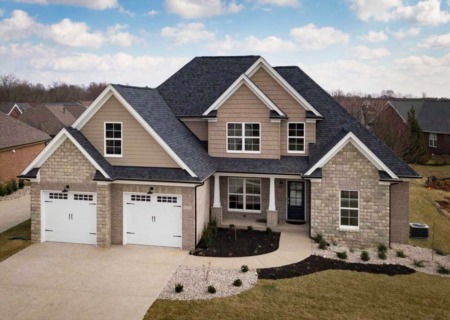 You are viewing the GLAR MLS property details of the real estate listing at 9013 Coltsfoot Trace Prospect, KY 40059, which is located in the Norton Commons neighborhood, includes 6 bedrooms and 5 bathrooms, and has approximately 4947 sq.ft. of living area.